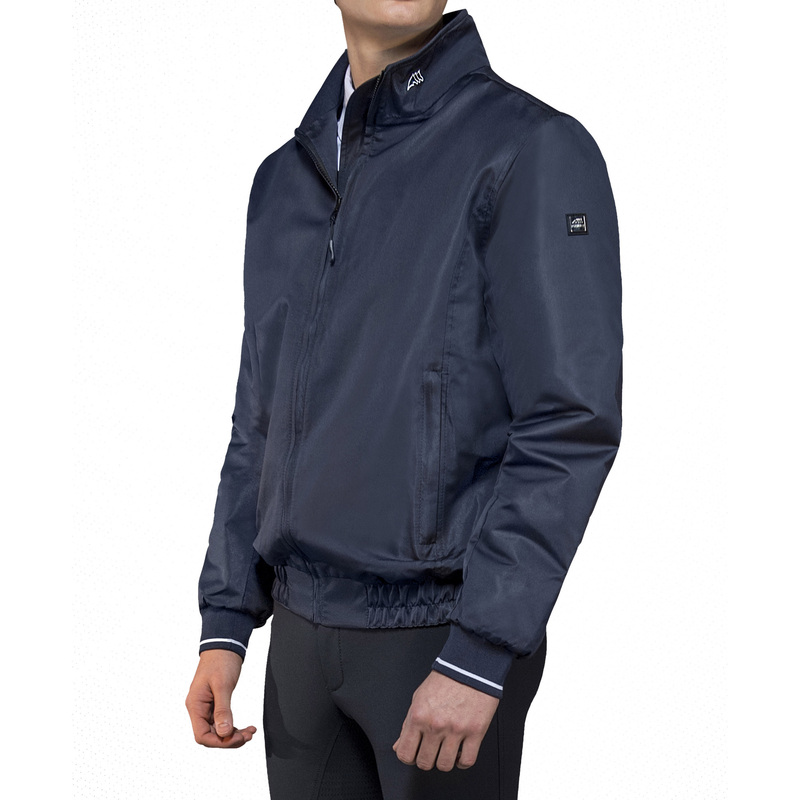 A very fashionable light men's bomber jacket with a stand-up collar. It is made of the highest-quality material. Comfortable and breathable. It has a zipper and elastic cuffs. There are two convenient zippered pockets on the front. 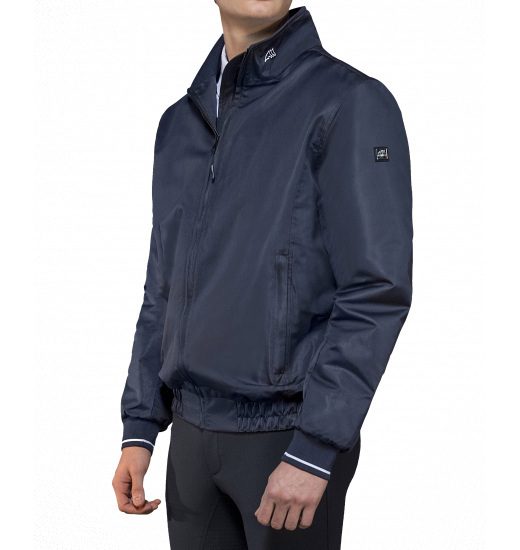 This jacket is decorated with a small logo on the collar and a plate on a shoulder.